My buddy, Rob Kemp is sitting in for Terry who is off for vacation. Very exciting week for digital media. We have International Startup Festival happening again. Philippe Telio (a Montrealer) wants Montreal to be as interesting for startup culture as Silicon Valley is, and this is his baby since launching it in 2011. It’s happening July 15 – 18th, and it really is a festival. Not just talks, but celebrations, contests and even a family day! Over 2000 people are expected to take part. I’ll be giving a 7 minute presentation on disruptions, but the event will also feature people from companies like David’s Tea, Travelocity, Google, Fast Company, and a ton of venture capitalists. So, if you have a startup or thinking about going out on your own, this will be the most networked place to be! It’s all happening at Le Jardin des Ecluses in Old Montreal. I’ll be speaking at International Startup Festival this Thursday at 11:25 (for about ten minutes) on the subject of Disruption, Disruption Everywhere. Comic Con San Diego had some great Star Wars stuff. 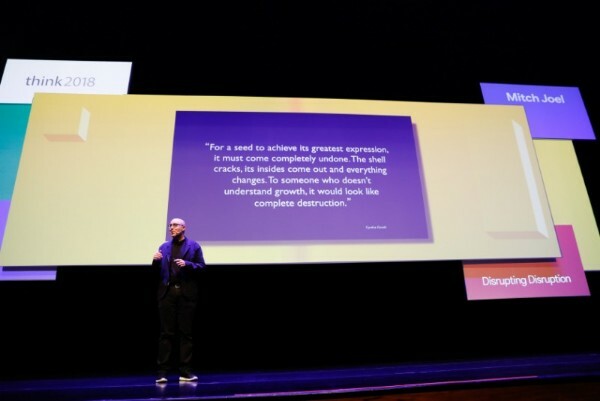 Scott Galloway talks about the winners and losers in the digital age. App of the week: Touchnote.